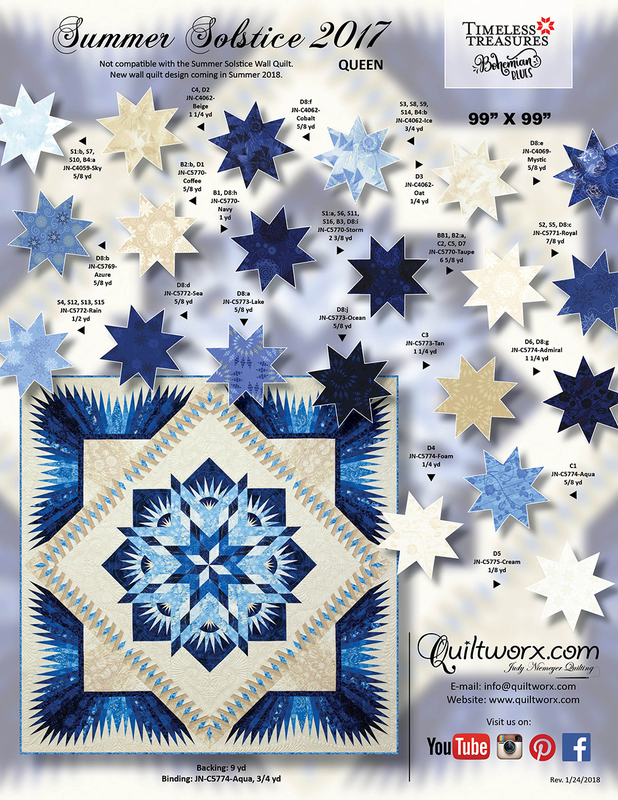 The Summer Solstice Queen pattern is a long awaited publication from Quiltworx, expanding the Summer Solstice pattern, a customer favorite, to a Queen size layout. 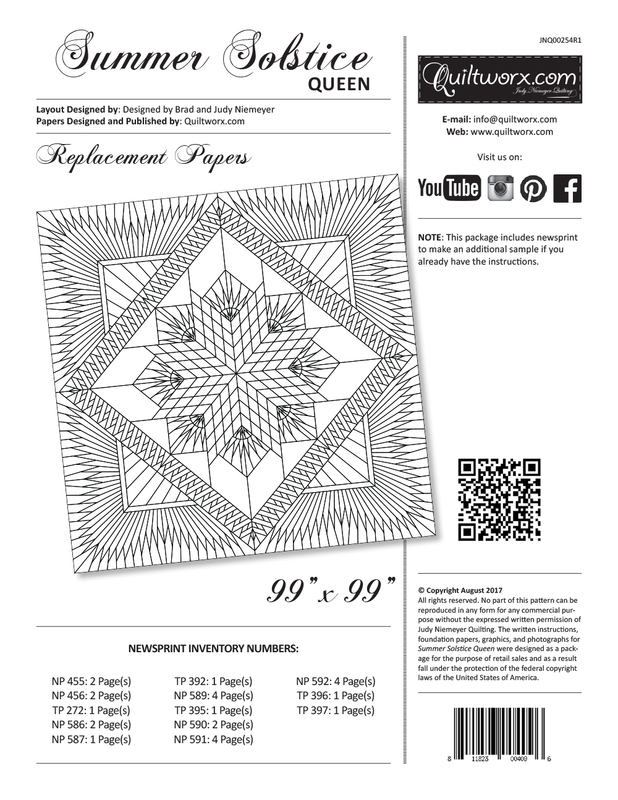 To accomplish this, a few changes had to be made to the pattern. In addition, some updated techniques were incorporated into this design to increase yardage efficiency, time efficiency, and organization. 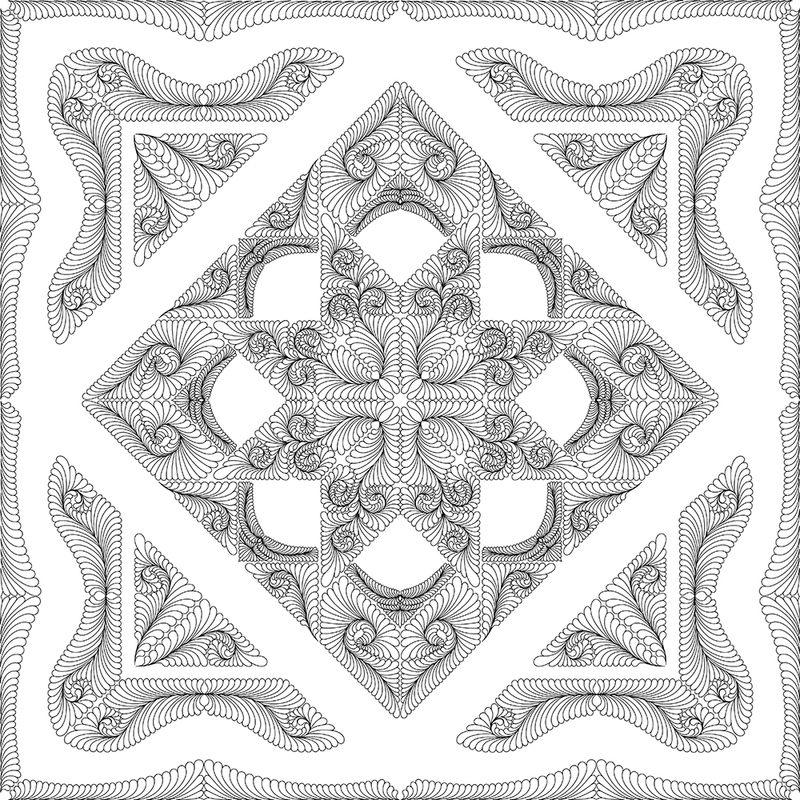 Through these updates, we have designed a great pattern, although not compatible with the original design. 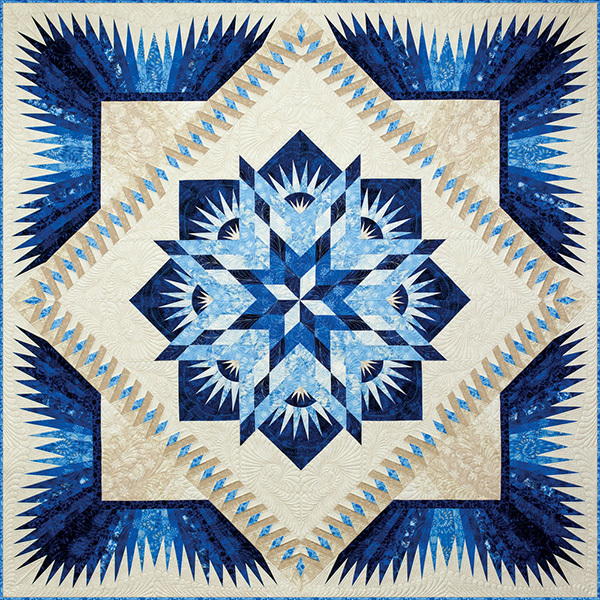 As a result, if you are hoping to use this queen pattern to expand the original quilt, we recommend just remaking the center and New York Beauty units using the new papers. During assembly, you will be very glad that you did! 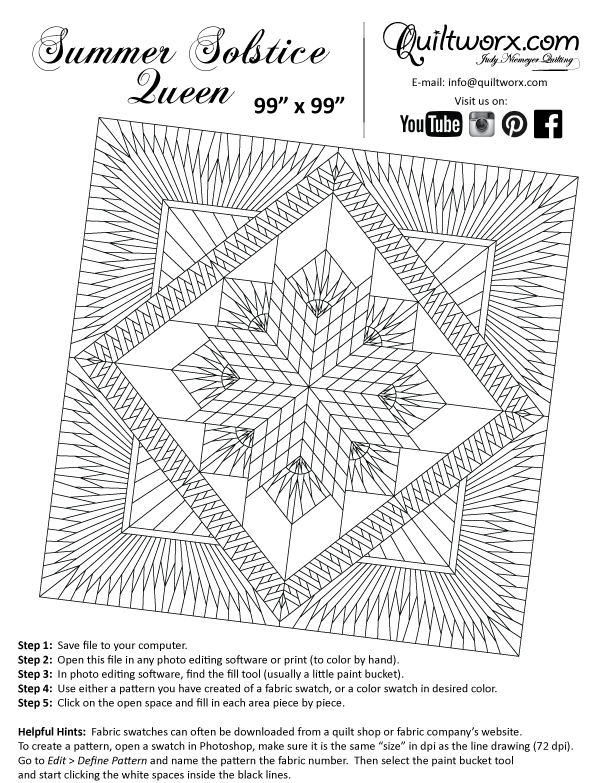 The design for this Queen layout was created using Quiltster. The center diamond is the same size as the Diamond blocks in Amazon Star, Congo Star, Tarnished Windmill and Red River Star. We presently have 7 different options for the center star. The New York Beauty blocks are 10” square, which match windmill blocks we’ve designed for the Tarnished Windmill, and the Quarter Star blocks used in Southern Belles for a total of 3 options. We have designed two background options for the center background, there are 8 possible C-Borders, and 4 different Queen Expansions. 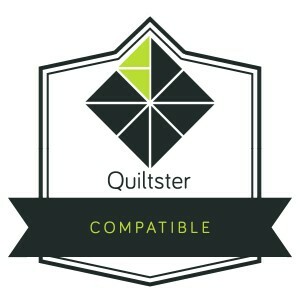 With all the currently available options, there are over 1,400 different combinations of blocks available for creating another Queen size quilt using this layout. I am certain that in the future additional designs will be available as well. Sorry, there are no classes scheduled for Summer Solstice Queen at this time.